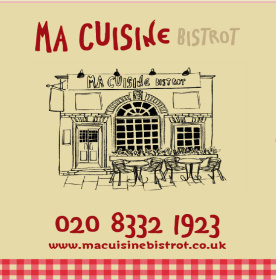 Ma Cuisine is a traditional bistrot, situated in the heart of Kew Village, offering high quality regional French cuisine at reasonable prices. Open for lunch and dinner Monday to Sunday. 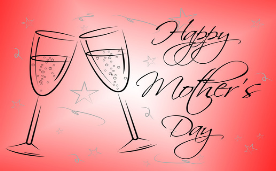 Last orders are 10pm on Sunday to Thursday and 10:30pm on Fridays and Saturdays. We are proud to serve good quality, freshly prepared French food at a surprisingly realistic price. At Ma Cuisine you will enjoy world class wines, French cuisine and classic French desserts. Great food and service. Situated in Kew Village and only five minutes walk from the Royal Botanic Gardens Kew, MaCuisine offers a fine dining experience. We look forward to sharing our passion for good food and service with you, and welcome you as our guests.